Avaliable soon will be this lovely little series 2,Lotus Seven.Wire wheels,1300cc,pre crossflow Ford engine and in classic Lotus green and yellow. Most importantly,great fun to drive! CITROEN DS 23 PALLAS,60k miles,rare air-con. 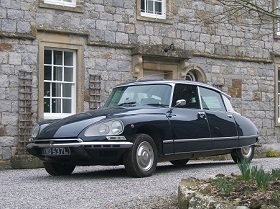 Arriving very soon is a very nice Citroen DS Pallas.In excellent condition inside and out. 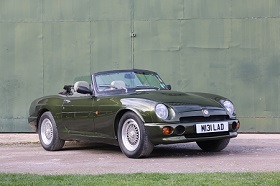 Woodcote Green,MG RV8.Previously sold by us and resided in the South of France for the last decade.With just 19000 miles and low owners and extensive history. An excellent example inside & out that drives very well indeed and has icy cold air con! More details & pictures to follow shortly. 1966 LAMBORGHINI 1R SMALL DIESEL TRACTOR,One family owned from new,original log book,number plate & warranty booklet. 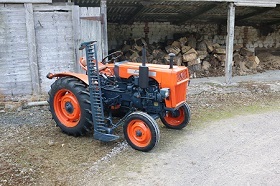 Just arrived from Italy is this lovely,one family owned from new,Lamborghini 1R,small diesel tractor. Fitted with Lamborghini's own,twin cylinder,air cooled,Bosch fuel injected diesel engine.In excellent running order and with lifting gear,pto,high and low diff and a grass cutter attached,it runs faultlessly and has all the correct,original fixtures and fittings. 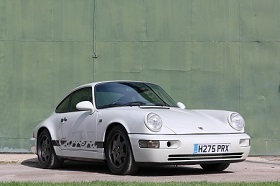 Available very soon is this super Porsche 964 Coupe.Extensively rebuilt with upgrades and minimal miles since. 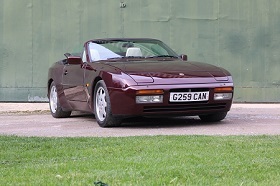 1991 PORSCHE 944 S2 CABRIOLET. Just arrived is this very nice 944s2 Cabriolet.In the rare colour combination of Cyclamen exterior and Linen (cream) leather interior. 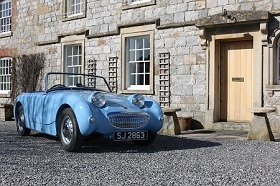 In excellent condition,with 117k miles and a FSH,either with main agent Porcshe dealers or marque specialists.It has just benefitted from a cambelt service,refurbished alloys and a new windscreen.Superb to drive and a very useable classic convertible. 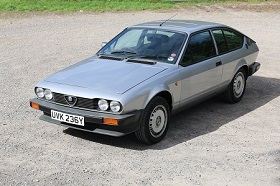 1983 ALFA ROMEO GTV 2.0LTR,RHD,Just 15k miles,2 previous owners! Quite possibly a unique opportunity to acquire a seriously low mileage example,Alfa Romeo GTV.In silver,with charcoal velor interior,it is in superb condition inside & out. With letters from the 2 previous owners confirming mileage at time of sale,there may be a lower mileage car out there,but you may wait a very long time to find it,if it does exist?! 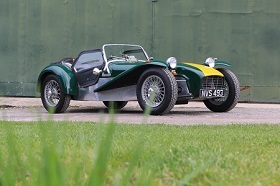 More pictures & details shortly..
1995 CATERHAM 7 Classic SE,135 bhp Ford Crossflow. 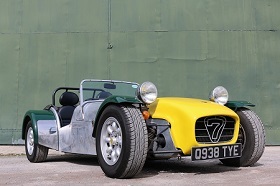 Caterham 7,a 1995 car,professionally built with the 135bhp,Super Sprint Crossflow 1700 engine.Just 3 owners from new,38k miles and a huge history folder,showing full build records & service history. 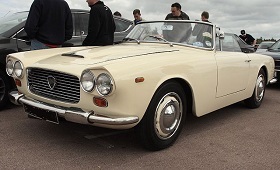 WANTED****RHD Lancia Flaminia Convertible ******WANTED. We are currently looking for a rhd Lancia Flaminia Touring Convertible 2.5 or 2.8 engine,in useable condition. Superb example in Iris blue,with dark blue interior.Fresh from professional,marque specialist restoration to an exacting standard of originality. 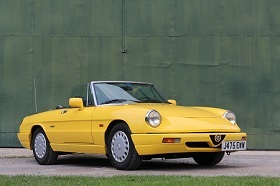 1990 ALFA ROMEO SPIDER 1600 S4. Previously sold by us and now,after a lot of fun,including a trip to the South of France,we are very happy to be able to offer this lovely little Alfa Spider again on behalf of it's current owner. An Italian import and as a result it has superb bodywork,it also has excellent mechanics and a very smart interior.It drives as nicely as it looks with an excellent gearbox,engine,brakes and clutch (new). Pictures & details to follow very shortly.